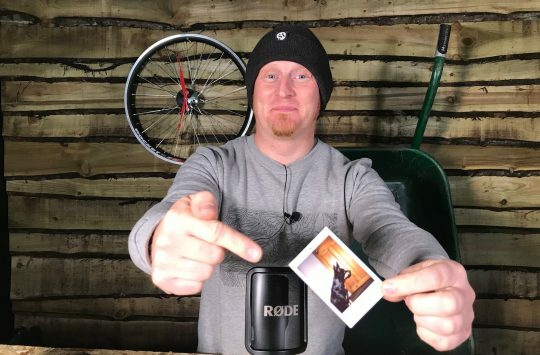 After the announcement last week from RockShox about its new Pike, Lyrik, Yari & Revelation forks, it appears that Fox is ready to hit one back with the release of the 2018 36 Float fork. Fox will be showing off the new fork at the Sea Otter event in California this week, and our very own Chipps Chippendale will be on hand to get all the hands-on info. For a start, the air spring. Or the Float EVOL air spring as we should refer to it. 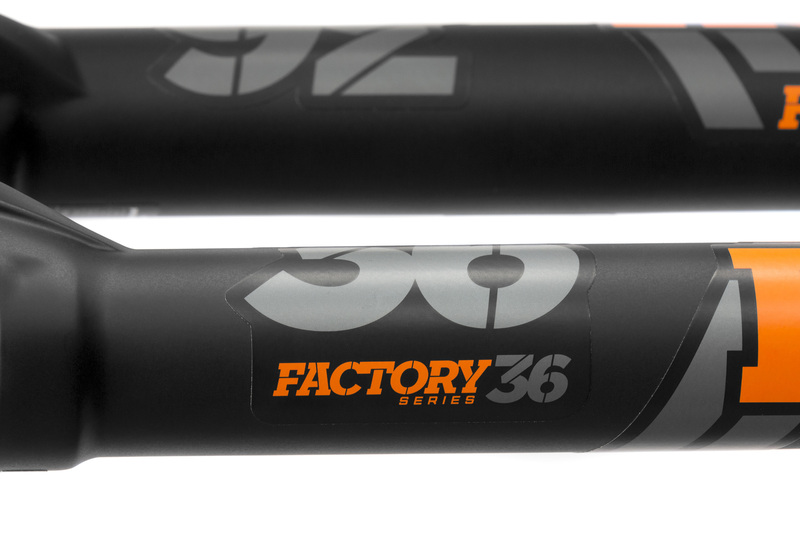 Yep, just as RockShox has done with the new Pike, so too has Fox done with the 36 fork, implementing the same air spring technology found in its rear shocks into the new 36 fork air spring. You’ll recognise Fox EVOL air shocks by the shapely air can that features a much larger negative air spring chamber that helps the rear shock ease into its travel in order to offer a more supple feel in the first 25% of the travel. 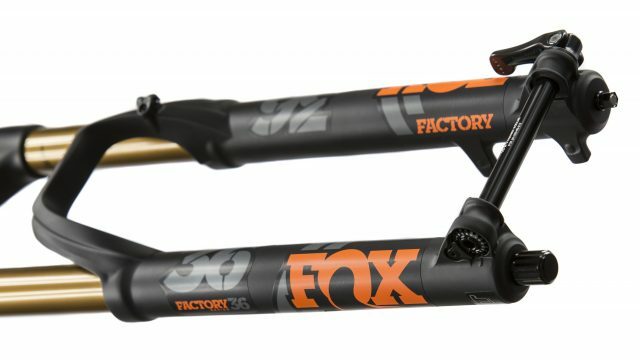 Well, that same design ethos has been implemented into the new 36 Float fork, and Fox is calling it EVOL. Before going into detail about the new 36 fork, here’s one nugget of information we can share with you; for the 2018 model year, ALL of Fox’s new forks will feature the EVOL air spring. So that’s 32, 34, 36 and 40 series forks. Boo-yeah! Fox introduces the 2018 Float 36 fork. The 2018 Float EVOL air spring. As mentioned above, the big change on the new 36 fork is the change to the EVOL air spring. Admittedly the 36 fork was due for an update to its air spring design, as Fox has been running a new-style Float air spring inside the latest 34 fork. For 2018, the Fox 36 is updating to the same basic architecture as the 34 Float spring, and that includes the ability to use the same Air Volume Spacers that lock in underneath the top cap assembly. It’s a simpler arrangement overall with less moving seals, and we’d expect the 2018 36 Float to be a little smoother as a result. New spring design aside, it’s the addition of the new EVOL design that should offer an even more noticeable increase in suppleness. By changing the location of the air transfer port between the positive and negative chambers, Fox has increased the volume of the negative spring, which allows it to place more force against the positive air chamber at the beginning of the travel. 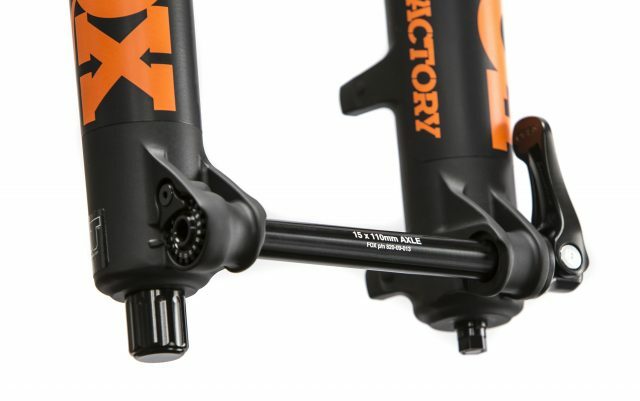 This helps to ‘ease’ the fork into its travel, just like the EVOL air can does on Fox Float rear shocks. We don’t have access to spring curves and such yet, but our bet is that the EVOL air spring should offer a slightly better supported mid-stroke too. 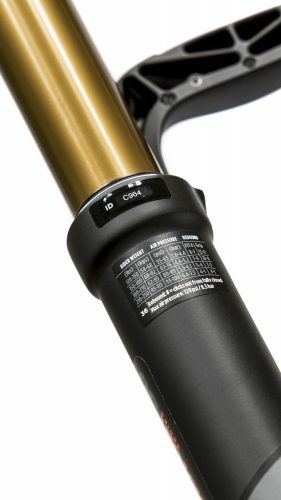 Fox is adding an air-pressure setup guide for its 2018 fork range. Along with the new Float EVOL air spring comes the addition of an air pressure setup guide on the back of the 36’s fork legs. Expect to see the same sticker on the 2018 Fox 32, 34, and 40 Series forks as well. There are three damper options available for the 2018 Fox 36. Dampers have been updated for 2018, though it’s more of a refinement than any drastic changes to the overall design. 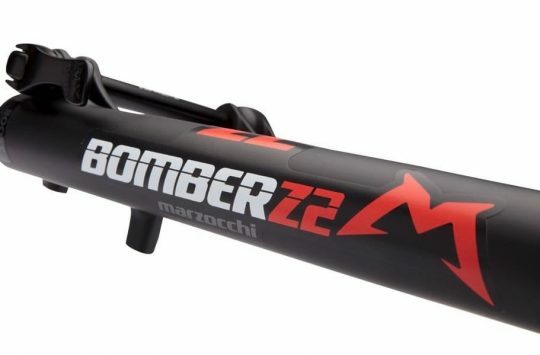 For the 36 fork, there are three damper options available; the OEM only FIT GRIP damper, the FIT4 damper, and the FIT HSC/LSC damper (pictured above). For the FIT 4 and FIT HSC/LSC dampers, Fox is running a new damper oil that’s said to have PTFE (Teflon) in it, which is supposed to improve compression and rebound flow. Both of those high-end dampers retain the dual-circuit rebound damping for separate control of high and low speed rebound. 36mm diameter stanchions remain, as does the magnesium one-piece lower. The chassis remains the same elsewhere. There are three wheelsize options available, with 26in, 27.5in and 29in options covered. Travel ranges from 150-180mm across the board, though Fox is still offering an 831 version with 100mm travel for slopestyle and dirt jumpers. Max tyre clearance is 2.5in for each wheelsize, though the 29in Float 36 will accommodate a 27.5×3.0in wide tyre for those wanting to go plus with the new 36 fork. There’s also three wheelsize options, and three axle options too. Choice bro! The new Fox 36 is also available in three different axle options: Boost 110x15mm, regular 100x15mm, and a 20mm option too. 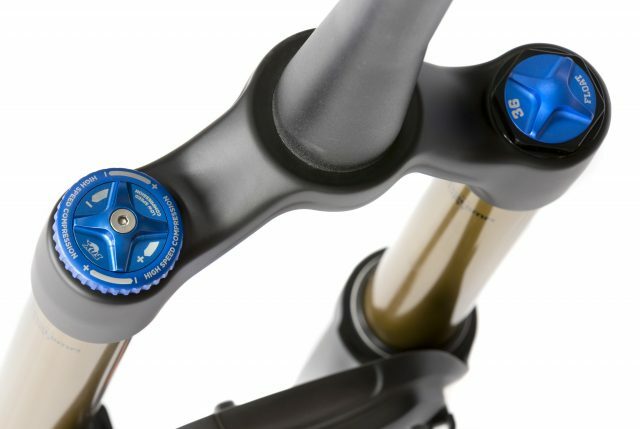 Speaking of options, the 36 can be had with a 1.5in tapered steerer tube, though the 26in version is available with a 1 1/8in steerer – so hats off to Fox for not forgetting bikes from only a few years ago! 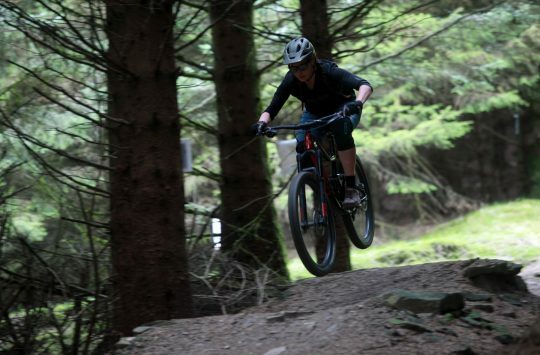 We’ll be getting a new 36 fork in for testing soon, so once we’ve had some proper ride time aboard the new EVOL air spring we’ll let you know our thoughts. Until then, head to ridefox.com for all the latest details on Fox forks and shocks, and Mojo Suspension to find out incoming pricing and availability.